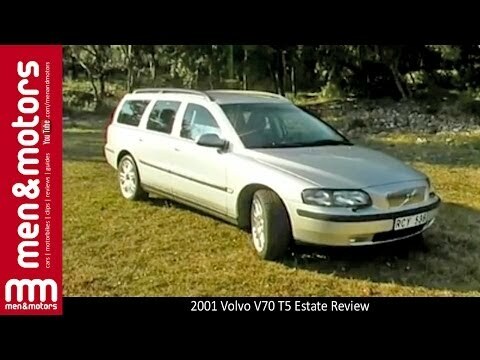 2001 Volvo v70 turbo wagon. Great pickup for grocery getter. I purchased the vehicle from a friend. At time of purchase the timing belt and turbo needed repair. For about 300 dollars I fixed the car and have had no issues. It is great running car. Body is in great shape. Interior seats have couple tears, but nothing seat covers will not fix. For initial $175 purchase and $300 repair cost, I'd say I definitely got great car for the price. I like that the seats go all the way down and there is lots of space in my car. I enjoy my vehicle a lot. There are just a few problems, my steering wheel gets stuck a lot and is hard to turn. The back seats also get stuck and do not go down. The engine also takes a minute to start. I have to turn my keys multiple times to get it to start. Other than that I like my car, they may just be because the car is old. It is a car full of safety features. I like that my Volvo V70 is a very safe car. It weighs about 3600 pounds, and basically if anyone hits it, their car will take the worst of the impact. My car has loads of airbags and safety features as well. While it is not great on gas, it is safe and roomy, and that is what I desire most in a vehicle. On certain wagons, the bolted joint, used for attaching the bracket that is part of the installation hardware for the ISOFIX-type child restraint, may have been incorrectly tightened. In the event of a crash, the seat occupant may not be properly restrained, increasing the risk of injury. Dealers will inspect the anchorage bolts and tighten to the correct torque level. The manufacturer has reported that owner notification began April 30, 2001. Owners who do not receive the free remedy within a reasonable time should contact Volvo at 1-800-458-1552. On certain sedans and wagons, the rear outboard seat belt anchorage bolts may have been incorrectly tightened. In the event of a crash, the seat occupant may not be properly restrained, increasing the risk of injury.